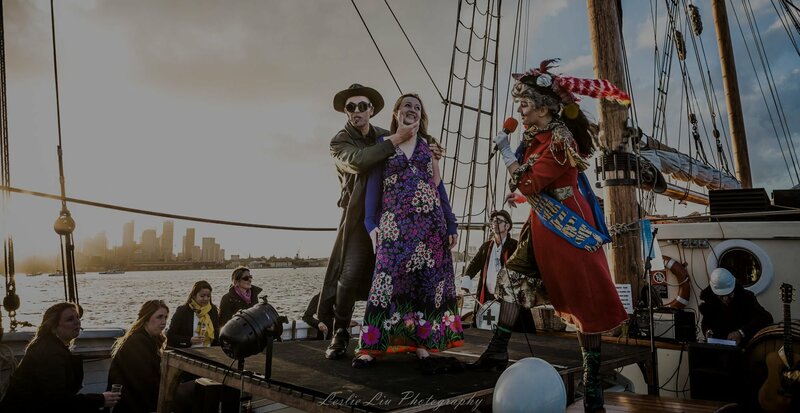 A fun and rowdy interactive burlesque show, all set in an authentic tall ship. Step outside your comfort zone to climb high above the ship to enjoy the ultimate views of Sydney Harbour. Explore Sydney Harbour & lunch in style aboard one of our magnificent tall ships. Book with Sydney Tall Ships for a unique Christmas party for your business. Watch the sun set over Sydney Harbour while cruising past iconic Sydney landmarks. Book early for NYE 2019 on one of our Tall Ships. Dinner & drinks packages and the best view of the fireworks. From $799 per person. Take an evening Sydney Harbour Cruise on our Tall Ships with premium wines & canapés. Great host in Andrew and Captain Andy and friendly crew. Great experience, much more interesting than your normal pre-recorded tour boats with no character. Book early as may be full and therefore unavailable on your stay in Sydney! Highly recommended. Kids 7 (boy)and 9 (girl) and both loved it. I just wanted to let you know how pleased I am with Tall Ships Cruises. Nothing was too small or too big for your staff and they managed all our tedious requests with a smile and real professionalism. I am glad to have come across your organization. Microsoft is grateful to have chosen Tall Ships in catering for our event. Thank you. Coming from Sydney I was not sure I would enjoy. How wrong can you be! It was great, Sydney turned on a gorgeous day and I would highly recommend the mast climb, it was a little hard work for us over 50's but I got there in the finish. Vintage sailing on Sydney Harbour is quite indescribable. Not to be missed (or forgotten)! A great ship, great crew and great food made for an absolutely splendid sailing adventure. I can’t say enough for this activity it was FANTASTIC! As well as laser clay shooting they ran mast climbing where two people could climb the mast of the sip and hang out in the wind. 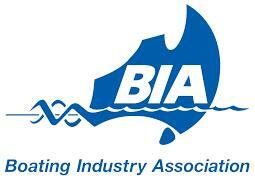 I cannot recommend this enough people, get out there and take a sail with the boys! Also get involved in the activities as well, really makes the trip. Our staff had a lovely time out on the ship and quite a number of them climbed the mast as well. Despite slightly cold weather, it was really enjoyable time on the water. Many thanks to you and your team for making the last part of our conference so special. What a great afternoon/evening. Keegan (the M.C.) was great as were the rest of the crew. Really friendly & helpful AND the "deck girls" - fearless. (climbing up the rigging & setting the sails) Sydney harbour was as always - magnificent. Food was great as were the people we met on board. 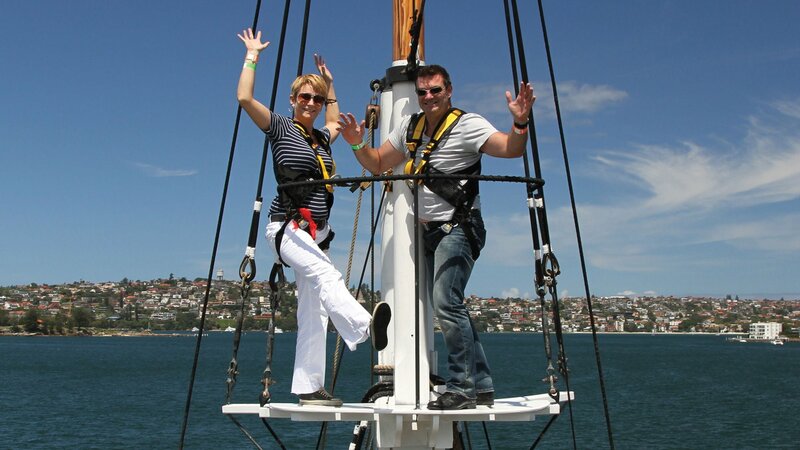 The mast climb is an ABSOLUTE MUST and the views of Sydney Harbour from the Crows Nest are out of this world. Hardest part is getting the world to hold still whilst you try to take pictures up the mast. !!! Summary.... MUST DO. We chose the afternoon sailing cruise and were thrilled with every moment. Sydney looks its best from the deck of a real ship, with the breeze on your face and a cool drink in your hand. We had an absolutely splendid, entertaining and interesting sailing adventure, on a great ship with a great crew! From the moment we contacted the team at Tall Ships we found the service to be professional, courteous and nothing was ever a problem. All our needs were accommodated for and the afternoon was a big hit with our CEO, MD and members of our Senior management team. I would highly recommend Tall Ships to anyone thinking of this type of event. The best way to see Sydney is from the Harbour. The boat and the sails were extra special; we even had the opportunity to climb up the Mast to get an extra special view of Sydney. The staff were professional, welcoming and encouraging. Spend the afternoon with the fun crew at Tall Ships and have a ball. I thought this trip was excellent with all the activities available, when it is over you want more! An awesome day on the harbour. Fulfilled my ambition of going on a tall sail ship, a great way to do it! This is a must if you like old sail ships and it's a great way to experience the harbour. The activities on this cruise are awesome! We absolutely loved our time aboard the Southern Swan. Not only did it perfectly fit our theme (pirates, of course), but the crew went out of their way to really make sure we had a great time. Having done a few harbour cruises as part of team building and corporate exercises, this is definitely one that sticks out the most in my mind. The Mast Climb was exhilarating and we'll definitely keep it in mind for future events. Thanks again to everyone at Sydney Tall Ships and until we sail arrrrrrrgain me mateys! I would highly recommend this cruise to anyone who is looking for an enjoyable & relaxing couple of hours on the Harbour. A wonderful experience to be aboard a Tall Ship with such fascinating history. This is a must do cruise! !